Daniel Powter has been on the music scene for quite a few years - with his hit single Bad Day, to coincide with the release of his second album, Daniel Powter. Since then he's played at Live 8 and won lots of national and international awards. The Canadian singer released Under The Radar, his fourth studio album in 2008, which failed to match the success of Bad Day. So, what can 2012 and a new album bring to a one-hit wonder such as Daniel? 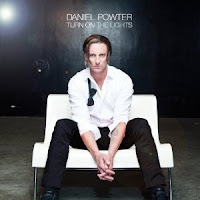 My first expectation with listening to this album was that it would be full of piano playing and slow melodies, like in the songs on his second album, Daniel Powter. I must admit, some songs on this album are like that, but not all. The song Cupid, which has been released as a single, is a really catchy song, that has an almost summer anthem feel to it and is a feel-good song that makes everyone want to dance to it. Another recommended song is Birthday Suits, which has a very catchy rhythm and I frequency find myself snapping or tapping my fingers on the table to it. Some songs on the other hand, are more slow and soulful, but that doesn't make them any less catchy. The lyrics of these songs are very relatable to most people, as most of them are about losing someone that you love or want to love, which is most of the songs these days are about, but Powter portrays this message in a very different, unique light. Daniel has blown us all away with this album and should continue creating music like this, and he will continue to have more success in the music industry and the world. He may have been a one-hit wonder in the past, but he will hopefully be climbing up the charts in the future.